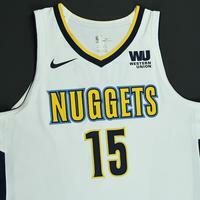 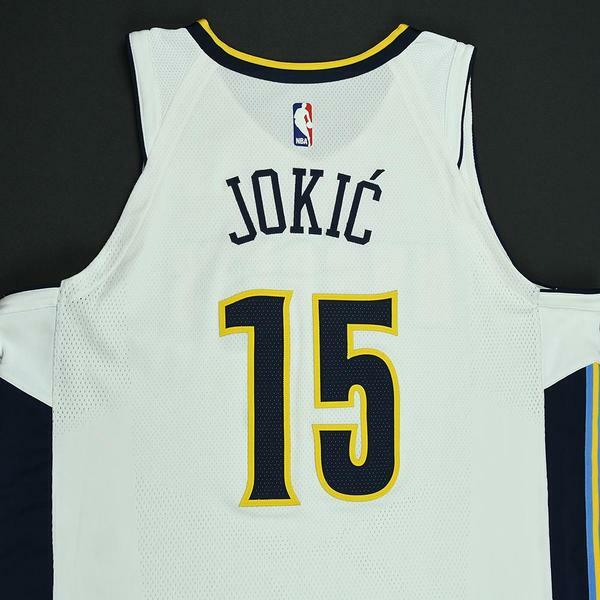 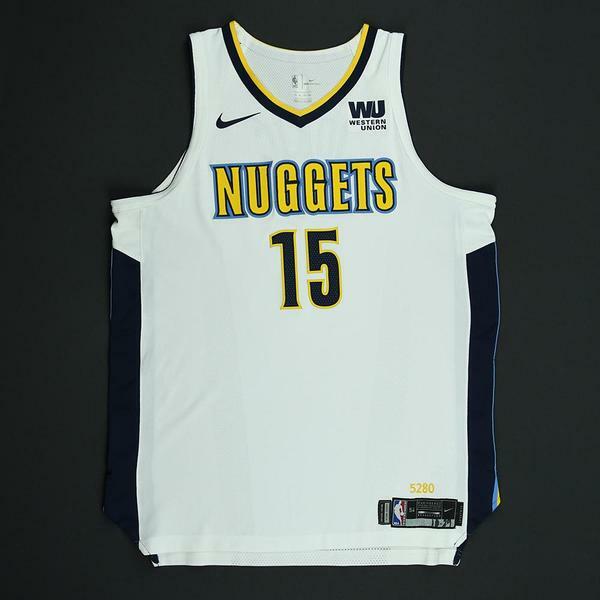 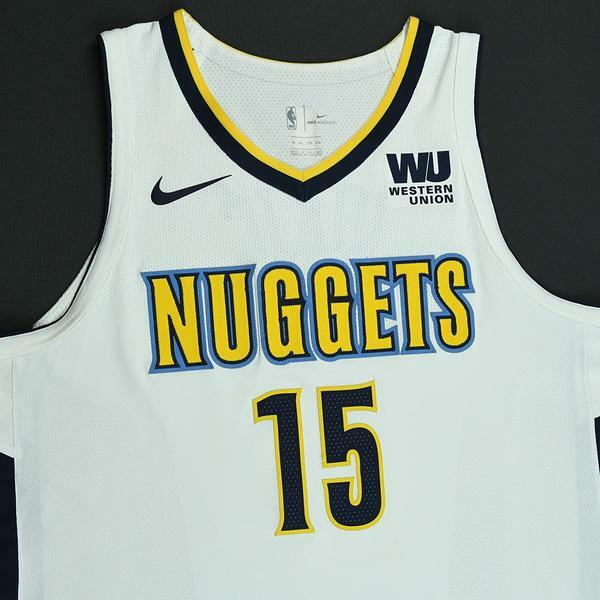 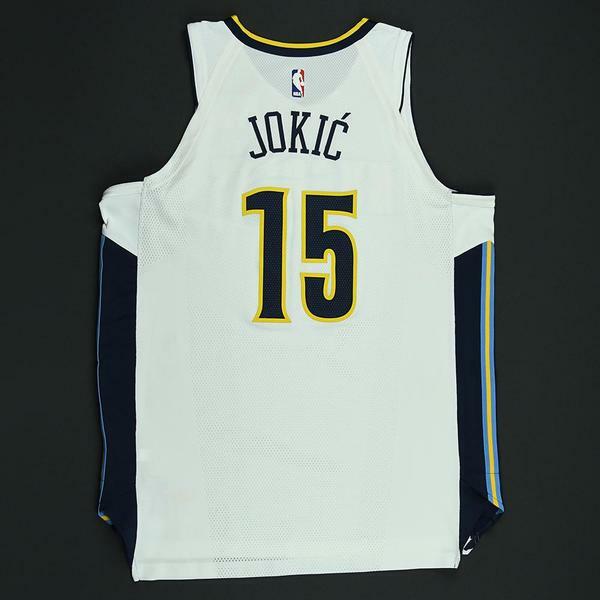 Jokic wore this jersey during the Nuggets' 124-111 victory over the Brooklyn Nets on October 29, 2017 at Barclays Center in Brooklyn, NY. 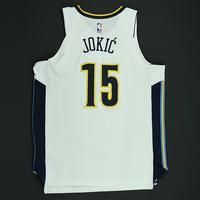 He played 29 minutes and registered 21 points with 4 assists, 14 rebounds, 1 steals and 1 blocked shots. 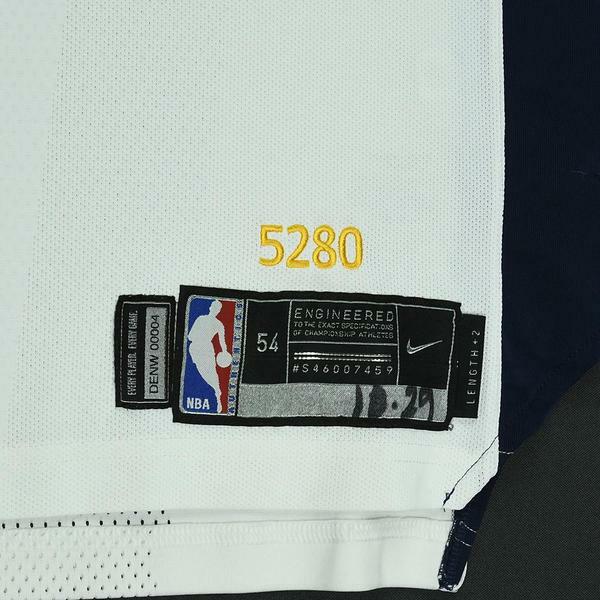 "10/29/17" has been handwritten on the jock tag.